Fast forward five years. It’s 1974. The average home price – just under $11,000. A gallon of gas – 55 cents. Average new car price just under $4,000. Oh, and the Dow Jones Industrial Average closed at 616! Richard Nixon becomes the first U.S. president to resign after the Watergate scandal. Lucy the skeleton was named, popular films were The Exorcist and The Sting. A year like any other year, right? Not a chance. THIS was the year Monty Python’s Flying Circus invaded America. 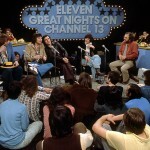 KERA-TV, the public television station in Dallas, was the first station in the country to broadcast this unknown program on a Sunday evening in the Fall of 1974 to a very unsuspecting, post-Masterpiece Theatre audience. 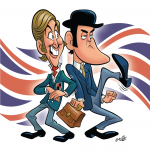 Almost instantly, the Monty Python’s Flying Circus phenomenon was born. I discovered Monty Python on a lazy weekend afternoon. I recently turned 13, and had never heard of the British comedy troupe before. As luck would have it, I turned the channel (this is back when TVs had turn dials) to a KERA broadcast of Monty Python and the Holy Grail. I came in just as the Black Knight sketch began, and by the second appendage severing I was hooked. I had never seen anything so comically risky, over-the-top bloody, and flat-out funny. 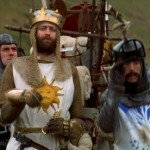 By the time the Knights of Ni showed up, I realized this was the greatest comedy of all time. Nearly 30 years later, I’m not sure I disagree with my initial assessment. Since then, my love of Monty Python expanded to include their other films and, of course, their TV series. KERA’s Sunday night broadcast of Monty Python’s Flying Circus was an important part of my week, and I rarely missed watching the show. Later I learned that KERA was the first U.S. station to broadcast Monty Python, which is a source of pride: We got it — literally and figuratively — when no one else in the country did. 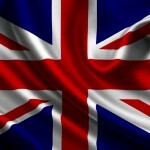 So THANK YOU KERA for the best British import since the Beatles. And thank you for showing a 13-year-old boy there is comedy beyond Hanna Barbera. Kirk Baird, pop culture editor/film critic for the Toledo Blade in Toledo, OH, who was born and raised in Dallas and remains a longtime fan of KERA. For more pop culture, check out Kirk’s blog, Culture Shock in the Toledo Blade. There are 1000’s of stories in the naked city from viewers who “discovered” the group that, I believe, have had the greatest influence on shaping the future of television comedy, much like the Beatles shaped music from that time forward. If you have a Python story or experience like Kirk, please share. Don’t forget to tune in Saturday at 7:00pm for the world premiere of Monty Python Before and After and then pop on over to Trinity Hall at Mockingbird Station on Sunday evening at 7:00pm for a very special edition of the Pub Quiz Trivia with KERA. OMG! Monty Python in the KERA studios!…well, actually, in 1975. A Nod to Monty Python's Flying Circus – Must-See Video!